Beautifull 2 days trek to the Peak of the highest mountain of north Africa, Jbel Tubkal (4.167 m). 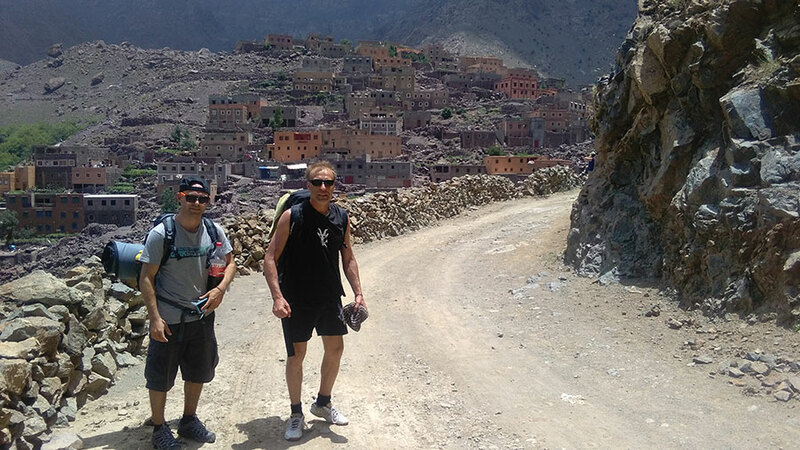 Trek starts in little village called Imlil (45km south/east of Marrakech). First day you just go, go, go, go up to 3.200m (Refuge). Is possible to sleep inside or outside in own or rented tents. Second day starts early morning and aprox. in 3 hours peak should be reached. …and then all the way down to Imlil (that is the hardest part :).